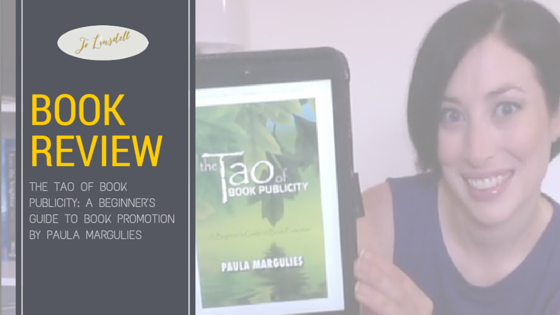 Paula Margulies recently sent me a free ecopy of her book The Tao of Book Publicity- A Beginner's Guide to Book Promotion to review and WOW! It was awesome. This one gets a 5 star rating. In The Tao of Book Publicity, publicist Paula Margulies outlines the basics of book promotion and explains how the business of publicizing a book works. Designed for beginning authors but also useful for those with some experience in book publishing, The Tao of Book Publicity provides information on the importance of writing a good book and the need for developing a platform, as well as how-to explanations for developing publicity material, including front and back cover text, press releases, Q&amp;As, media and blog tour queries, and newsletter and media lists. Although the subtitle of this book states "Beginner's Guide" this book is really a must read for all authors. Margulies obviously knows her stuff and gives good advice and tips throughout. 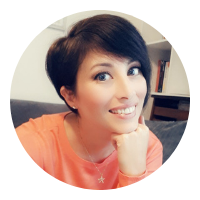 I thought she particularly excelled when talking about planning, organising, and carrying out events, and loved that she went beyond just simple book signings to include conventions, trade shows, and more. Whilst she does mention her experience as a book publicist throughout the book it's never done in a "talk down to you" kind of way. In fact she even has a chapter at the end of the book where she talks about finding the right publicist for you, and if it's worth you getting one.